The articles in this collection, written between 2009 and 2015, have one thing in common: courage. I am not referring to the guts it takes to climb Mount Everest (although there is one amazing climbing feat in one of these stories), I mean something that runs deep in the soul and can be drawn on to face moments in life as significant as conquering a mountain. 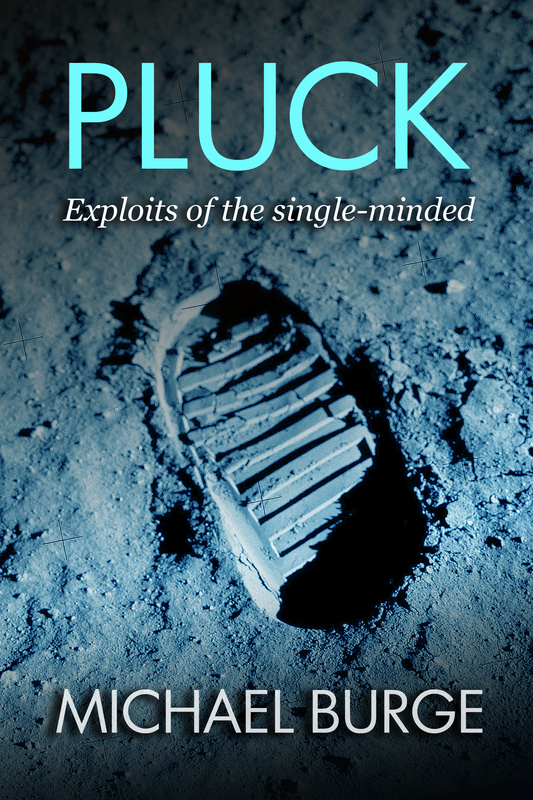 ‘Pluck’ is a bit of an old-fashioned word, one you might notice in a 19th century novel or a genteel play, used to describe a person who does something unusually brave, or lives their life in a manner that sets them apart. For me, the word is slightly pejorative, in that calling someone ‘plucky’ pigeonholes them as a certain type, the same way that descriptors like ‘tomboy’ and ‘pansy’ signal something only fractionally better than other words we might not use in ‘polite’ company. Chronologically, the earliest of these articles was Grit & Gentility, an analysis of the amazing voyage undertaken by one of Australia’s pioneer settler families, the Pitts. My inspiration was Germaine Greer’s study of Ann Hathaway in Shakespeare’s Wife, where a whole life needed to be drawn in the absence of primary sources. To bring Mary Pitt into focus, I took the small amount of evidence about her, and used a contemporary tool – Jane Austen’s Pride and Prejudice – as a shortcut to Georgian sensibilities around marriage. While editing and writing for Blue Mountains Life magazine, I instigated a two-year cycle of writing about women who’d had an impact on the region’s cultural heritage, or been impacted by it. This research allowed me to explore a region I had more than thirty years’ association with, and led to pieces on the famous, such as Nellie Melba; unsung media pioneers like Beryl Guertner; and explorers like Katie Webb who had been relatively sidelined. Many of the people in these articles are those whose work I admire, and whose lives I analysed for times where they needed to engage a little pluck, and got a very bad name in the process. Judy Davis’ ‘difficult’ tag, particularly while shooting her first international role in A Passage to India, has rarely been analysed in the context of a young performer facing-off an older director, and was another early piece of writing that led to others in a similar vein, particularly about female performers, of which there are many in Pluck. There has long been a scarcity of writing about Australia’s great ‘pink expats’ – the likes of costume designer Orry-Kelly and writer Sumner Locke Elliott – simply because they left our shores and barely registered as Australians. I have sought to reconnect them with their homeland and look at how far their courage took them. I also wrote on another Australian icon, Matthew Flinders, to shift the perspective from his sexuality to the homophobia he may have been subjected to, and how that discrimination still preys on Australian men two centuries later, when considering the coming out of Ian Thorpe. Writers also feature heavily in this collection, and my ongoing fascination with literary reputations damaged by snobby naysayers, such as that of Shakespeare; but also how oeuvres are formed, in the case of Agatha Christie and the clues I found to her infamous disappearance. Scattered throughout are various people who are not famous, but are notable for the courage they drew on when faced with emotional challenges. Looking at this collection, I am reminded that in 2009, after years of waiting for someone else’s permission, or for validation that was never going to come, I determined to make writing my primary focus as an artist, a leap of faith that felt more than a little plucky. Pluck begins and ends with E. M. Forster. My inspiration is always his courageous writing legacy, and what he left to generations of gay writers in his wake.